Gratitude in the midst of loss is not always easy. Finding a gracious and grateful way to embrace life that remains may be a challenge, but it is the way forward for us when we have lost. I had lunch with my friend Joe a week or so ago when he presented the above quote to me. I immediately took a photo of the page so I could read those words again and again. I wanted those words to sink in and liberate me from any lack of gratitude that might have a hold on my life. Our lives are marked by receiving and losing – how we respond to that basic reality in life is really what gives shape to who we are a people. Praying upon those words, I realized that I have been fortunate to be very close to very powerful examples of a response of gratitude in the face of loss. 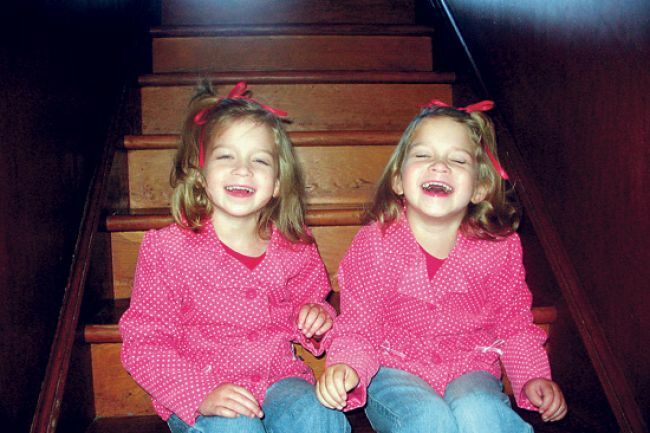 Those who know me well know that I had identical twin great-nieces – Becky and Andrea Sparkes – die after a courageous battle with Batten’s disease. They were in their seventh year when they died in 2008. Those of us who knew them, had the privilege of holding them, laughing with them, crying with them, and being with them, knew their life was a great gift. These two beautiful girls in a short time had a tremendous impact on the lives of countless people. They were loved – and they loved. My nephew Gary, his wife Annette, and their eldest daughter Leah are to me a shining example of how people can do a courageous job of embracing the life that remains after losses. Life after the death of two daughters or two little sisters is never the same – Never! Despite the unimaginable challenges that accompany taking the next steps forward, this young family has marvellously carved a way forward – and that has been in no small measure because of the gratitude for how Becky and Andrea changed their lives, and gratitude for the many ways they experienced support and love during the most challenging times. These words taken from a worship book at St. John the Evangelist church reflect a truth we as a people of God hold true to our hearts. I love the expression – out of human suffering ‘may’ come healing – it is most certainly not guaranteed. In the midst of Becky and Andrea’s suffering was healing and new life in the form of The Children’s Wish Foundation. At the height of all things that reeked with the stench of bad news, came a group who gave a family staring death in the face some moments of healing – moments of new life. 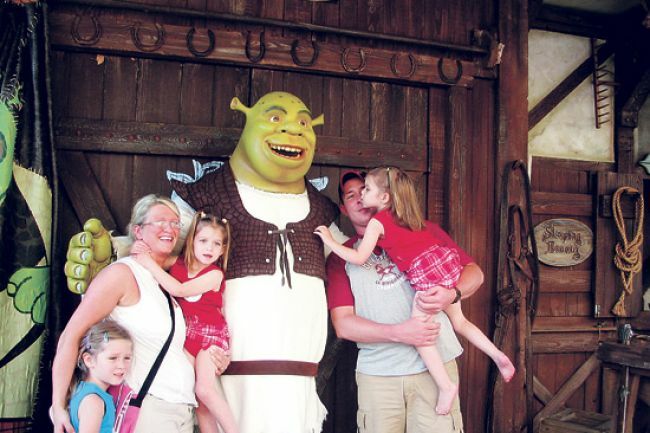 The moments that the Sparkes family spent together in Disneyland while Andrea and Becky were well enough to embrace Shrek, laugh at Donkey, and take in all that every child loves, are now treasured and valuable memories that help give comfort and strength. The gifts given by Children’s Wish a decade ago bring healing even today. The Children’s Wish continues to be busy because indeed it is true that out of human suffering ‘may’ come healing – and as long as that is true – the good people at Children’s Wish are busy making wishes come true. To that end, our family has also found healing in giving back to Children’s Wish. Each year we host the Becky and Andrea Funfest. This annual golf tournament, built on personal sponsors from people like you, is now in its seventh year. Last year this event raised over $75 000. In total the event has raised over $200 000. As a family, our participation in this low-key event that packs a big fundraising punch is one way that we ‘embrace the life that remains,’ and do so in gratitude. Even though I have been unable to attend these past two years, I have been able to help because of those of you who know me and have sponsored me. Last year you pledged $5000 to the cause. We have our flights booked and are looking forward to golfing with family and friends in Newfoundland on August 2nd in support of Children’s Wish and in memory of two little girls for whom we are all most grateful. It’s a short turnaround but we hope to come close to last year’s efforts. So once again – I am seeking your support – if you can sponsor me, please be in touch canonkevingeorge@gmail.com or message me on Facebook or Twitter. – or text me on 226 377 2334. Not all can support financially – but your prayers and kind wishes would be appreciated. Please offer a prayer for those who face loss, who face death and pray that they ‘may’ find healing – for that we would be most grateful. To offer a comment of support click “Leave a Comment” at the top of this post! Thank you for your kind note and your willingness to contribute and support. Matthew is in our prayers as he continues to show remarkable strength.